In the past 4 years, Southeast Asia is the region where many countries aim to accumulate working relationship and expand collaboration with its member states It is regarded as “The region of Hope” since there is no civil wars, and it has been driven with new knowledge and energy, so that has made the region become fast-growing economies. However, under the new energy, this region is facing human rights problems, poverty, ethnic inequality, military dictatorship, abuses of power by government, and violation of rights and freedom of the people. These are happening in both new democratic nations, and in the countries where democracy has been destroyed. Thailand is an example of its democratic development is worsening from the global main stream of democracy between 1997-2005. In 1997, we had the “people’s constitution” which brought us one of the strongest civilian government that created the nation’s economic stability. But the country suddenly turned to a fallen-behind military state dictatorship after the coup d’etat in 2006. The military toppled the civilian government, and formed a military government to rule the country. Although the civilian government did make a comeback after winning the general election in 2007, it was an unstable government which only last less than two year after that. In May 2014, the general launched a second military coup against the democratically-elected civilian government, and established the military junta which has already been 4 years ruling the country, and seems to be ongoing for the next 20 years from now. Having oppressed the nation for 4 years after the latest coup d’etat, the junta manipulated more than 500 legislative bodies which limit freedom of speech and expression. The use of Article 44 of the interim constitution which grants the junta leader absolute power to give any orders in all issues, there are more than 160 orders executed. 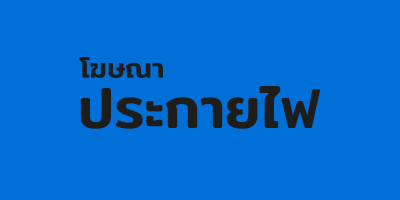 Many Thais opposed the military rule under the authoritarian regime with its absolute power, as such there are at least 597 people arrested for political expressions, at least 1,318 people were called and detained in military camp, at least 94 people were charged with Article 112 which is lèse-majesté law, at least 91 people were charged with Article 116 of Thailand’s criminal code which targets expressions or actions “likely to cause disturbances in the country”, at least 1,886 civilian cases were brought to military court, and there are 72 political prisoners currently jailed in Thailand. Not only the fact that the army is holding the highest authority, but also the judicial system. Thai court is being used as a tool to legitimize coup and support junta serving as state sovereignty. The military-sponsored draft constitution was passed in a heavily controlled referendum in 2016. Any coup orders will always be legitimate by the court. With the help of the court, the coup finally received royal endorsement. The crackdown in 2010, Thai military used rifles and snipers to disperse the protestors who demand dissolution of parliament and re-election, leading to more than 100 people died in clashes. There is litigation, but many cases were disposed. This is because the cases were set to be filed by the National Anti-Corruption Commission (NACC), which is obviously military-appointed to do the proceeding. The NACC dropped the case by referring to The Emergency Decree on Public Administration in Emergency Situation, which means the bloodshed in Bangkok downtown by the Thai army in Savage May is not an illegal action. While rights to bail will not be given by court for all other political cases, many people have been punished with harsh jail sentences. Thailand is a constitutional monarchy with the law that forbids criticism the king in a negative way. Throughout 4 years of military government, there are many lèse-majesté charges against the people. Almost all of the accused plead guilty because bail is denied. Human rights situation in Thailand is in free-fall which reflects the lack of rule of law in Thai society. In other words, gloomy democracy – under the ruling of military junta has brought Thai economy continues to tumble down due to over-apply the budget for economically unnecessary armed forces equipment purchase. And the chance of economic collapse which can cause a major disaster to the poor can be happened anytime. In digital era, the final frontier of the successful democratic transition in many countries teaches us that political centralization will not survive. Election is necessary for bringing up the social consensus to negotiate democracy transitions from authoritarian rule. Although political election is one of the elements of democracy, and being controlled by the elites, it is still the most important key to peaceful transition. For an example, the election in Malaysia recently won by the collaboration between political parties which have long been bitter enemies, to stop the political centralization and monopoly under UMNO government. Therefore, this election heralded the first regime change in Malaysia’s history. In Thailand, the junta has promised and postponed elections several times, it has been 4 years after the military seized power in 2014. The National Strategy, with binding effect over the next 20 years and penalties for non-compliance is voted approval by the military-appointed National Legislative Assembly, to ensure its tighten grip on power. However, peaceful democracy transition requires an election, so it is necessary to create human rights guarantee which means; freedom of speech and expression without limitations, freedom of gatherings and assembly. These are guaranteed road to democracy. After an election, we need to implement public participation from all sectors. It is essential to establish stronger public sector organizations such as labor unions, and civil society network, in order to enhance political participation and negotiation of the people. We must act in accordance with new national consensus, a political institution designed to be investigable, in counterbalance, and a free mechanism to protect human rights. We should now be determined to make human rights an everyday reality to make sure that the upcoming election will lead us to true democracy in the near future. Nevertheless, only the people in the country will not be able to fight for human rights under the ruling military junta. We must partly rely on reconciliation regionally and internationally. For example, the European Union assigned the delegation of the EU and its member states to make use of all existing tools encouraging to respect human rights, and legal state in Thailand, especially constant observation of violating human right cases in court trial. Social sanction is another method to put the junta under pressure. For example, the withdrawal of “Freedom of Oxford” award given to Aung San Suu Kyi in 1997 because of her inaction over abuses against the Rohingya. Two months later, the Myanmar leader also has “Freedom of Dublin” award revoked. Her name and portrait were removed from Oxford college common room. A commentary article in the Jakarta Post is another example. It requested Indonesian government voting opposed to hand over ASEAN chairmanship to Thailand Prime Minister Prayuth Chan-ocha this November since it is one of the most repressive juntas, having oppressed the nation for four years with severe human rights abuses. This is also a method to boost human rights in Thai society. Granting political refugee status is essential to protect human rights activists who left their native country where ruling under authoritarian regime. This is an international human rights protection. Myself, while I was detained as a political prisoner after the court’s sentence of 10 years in jail, with the help of public pressure domestically and internationally that made the court decision to reduce the sentence to 7 years in jail. And, I am now free.